Weightlifting workouts can be an effective tool of losing weight when coupled with a weight loss program. You may be surprised to find that lifting weights can even help you get rid of extra fat, mould the shape of your body and tone your muscles. There is no risk involved if you have been consulted by a professional in advance. Some problematic areas, such as bat wings on your arms, can be remodeled through weightlifting, too. Weight loss is in a direct relation with the speed of metabolism. Weightlifting is recognized as a driving force for metabolism; what is more, it maintains the same sped-up pace long after weightlifting has stopped. After a workout, your body requires some extra oxygen because of the strain, which is why the metabolic rate lifts up. Lifting weights works well on the muscle development, too. As you know, muscles are essential for the speed of metabolism: a pound of muscle is able to burn as many as 20 calories per day, while a pound of fat no more than 5. Weight loss workout plan successfully explore weightlifting because of its equal relation to muscle build and fat burn. Furthermore, training sessions that include lifting weights strengthen the bones and boost tenacity. Professionals recommend doing weightlifting workouts along with cardiovascular activities. If you are really firm on burning fat, losing weight, building muscle and modeling your body, it is good to lift weights at least 3 times a week while also strictly observing your diet. 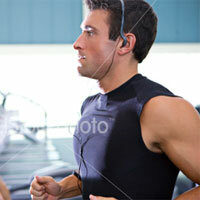 You might also wish to try aerobic exercise in the form of cardiovascular sessions. You will be amazed by the final result the three of them will produce: a lean, muscular and well-shaped body. This pattern will also allow you to monitor your muscle-to-fat ratio and thus permanently get rid of fat. The effects of weightlifting are only visible when you strain your muscles more than you usually do. Gradually increase the amount of weights as soon as you notice your body gets used to the ones you lift. Make sure, however, that you pick up an amount you can lift until the very last rep. You should also welcome changes in your weightlifting routine. Diverse rep ranges which train the different muscle fibers will guarantee weight loss from multiple bodily areas. Note that the same muscle groups shouldn’t undergo sustainable strain. In addition, spare a few days to let your body relax and allow muscles to grow meanwhile. Fitness consultants recommend warming up before training sessions and cooling down after such. Lifting and lowering of weights is ideally performed slowly, without holding one’s breath. Stable posture and balance minimize the risk of traumas. The golden rule about weightlifting is to proceed slowly. Don’t compare yourself to others: lift only the weight you feel comfortable with, otherwise you’ll stress your body. Be careful not to do any abrupt movements while lifting or lowering weights as these can lead to irreparable injuries. Regular breathing and sufficient rest are also vital factors when it comes to weightlifting workouts.